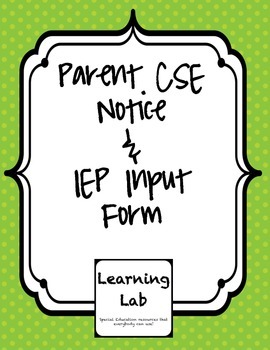 It is important for a special education teacher to include the parents when writing a new IEP. 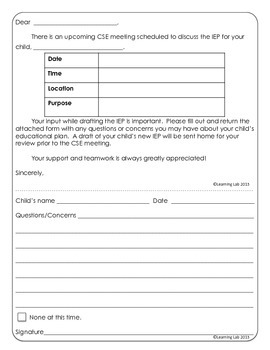 Notify the parents of an upcoming CSE meeting and request some information to be included on the updated IEP. 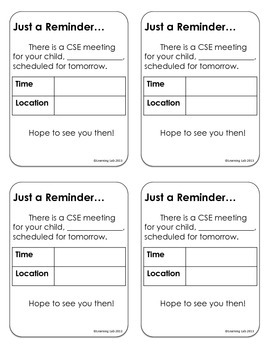 Save the notes from the parents in your student file for reference. 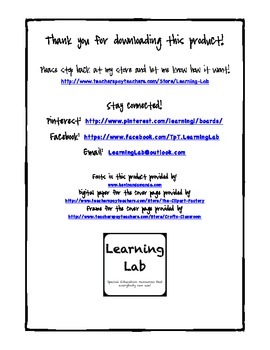 Check out more helpful and time-saving special education resources in my store!